The liturgical life of the Church is expressed over the course of the calendar year at our many events offered to parishioners. We begin the year with a Eucharistic Holy Hour to ring in the New Year and celebrate the Feast of Mary, the Holy Mother of God. Holy Week is celebrated in all its solemnity with the celebration of Easter welcoming our Risen Christ. Spring brings the administering of the Sacraments of First Holy Communion and Confirmation to our children. 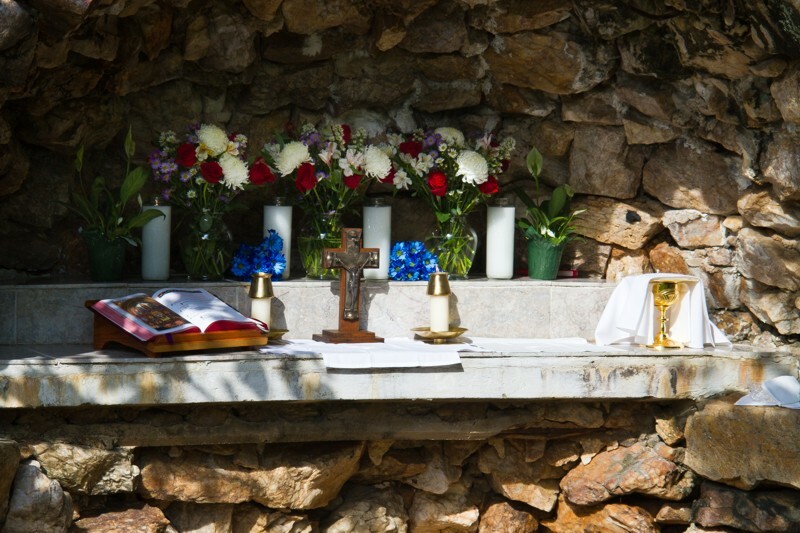 On Memorial Day we are at the Historic Church grounds blessing the graves of our beloved dead and celebrating Mass outside at the Grotto. June welcomes our annual Corpus Christi Procession with all its grandeur processing from the Worship Center to the Grotto at the Historic Church. The Labor Day Picnic begins with the celebration of Mass under the tent where bingo will be enjoyed as the day progresses. Our Parish Feast Day of Our Lady of Sorrows is anticipated with 40 Hours of Devotion. As December approaches we are eager to prepare for the birth of our Lord and Savior, Jesus Christ, during Advent and then celebrate his birth with great devotion on Christmas.